TORONTO — The arrival of Lyft in Toronto has raised questions about the impact of such ride-hailing companies on the city's public transit system, which governments are spending billions to expand. The San Francisco-based company that operates in about 300 American cities launched in Toronto this week — its first market outside the United States. The decision was unsurprising to some observers who said Canada's most populous city has been increasingly receptive to ride-sharing services in recent years. 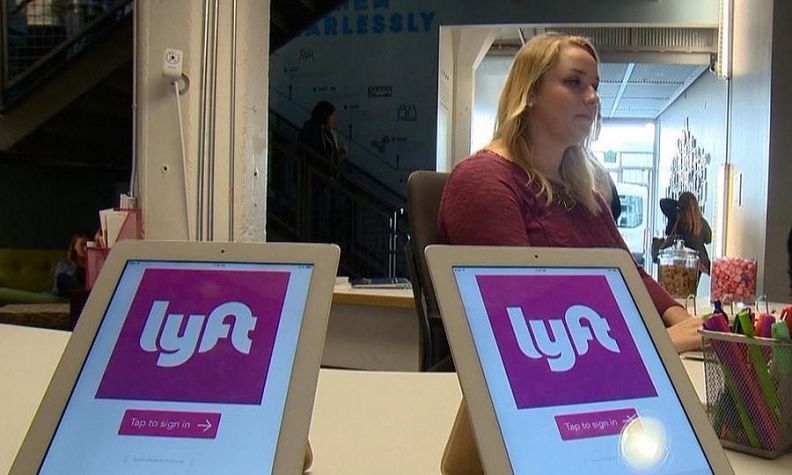 "Toronto was a no-brainer for us when we decided to launch internationally," said Daniel Moulton, a public relations official representing Lyft. "It's the fourth-largest city in North America, we think Lyft's values align well with Toronto's, and we know there's demand — over 50,000 Torontonians have already downloaded the app this year because they're so eager to try Lyft." The city was not always a welcoming destination for ride-hailing services, as the introduction of Uber to Toronto in 2012 ignited years of debate at city hall over business regulation, safety measures and competition with the taxi industry. But a "vehicle-for-hire" bylaw introduced last year has made Toronto far more welcoming toward ride-hailing businesses, five of which — Uber, Lyft and the lesser-known Facedrive, Instaryde and RideIn — are now licensed with the city. Mayor John Tory said the decision to license Lyft was made to give Torontonians more choice when moving around town. Under Tory, Toronto has become one of the most ride-hailing-friendly cities in Canada, said Kevin Bryan, assistant professor at the University of Toronto's Rotman School of Management. "Within Canada, Montreal and Vancouver [for example] are much more hostile to ride-sharing companies than Toronto is, particularly with John Tory as mayor," he said. "Toronto is Canada's biggest city, the mayor supports ride-sharing companies, it seems fairly straightforward that's where you'd start." The relatively quick proliferation of ride-hailing services in the city has drawn the attention of the Toronto Transit Commission, whose executives are considering the future of transit ridership numbers. "The TTC is closely monitoring (ride-hailing) services and their impact on public transit ridership," said spokesman Brad Ross. In its Ridership Growth Strategy for 2018-2022, the TTC noted that services like Uber, Lyft and the car sharing service Zipcar have "a direct negative effect" on public transit. Recent data from seven major US cities, including New York, Chicago and Los Angeles, shows ride-hailing services are used as a substitute for "conventional" public transit, said the report released Dec. 11. In Toronto so far, transit ridership has continued to rise each year since Uber came to the city in 2012, but the rate of growth has slowed dramatically in the past two years. There were 11 million more rides taken on the TTC from 2012 to 2013, and nine million more rides from 2013 to 2014, while 2015 saw an increase of just 3 million rides, and 2016 rides increased by only 1 million to 538 million. Meanwhile, Uber data cited by TTC showed that about 40,000 Uber rides per month are taken to or from a TTC station or stop. "[Uber] has expressed willingness to work with TTC staff so they and the TTC can gain further understanding of Toronto-specific digital ride-hailing trends," the TTC said in the Growth Strategy. "With Lyft, the other major North American digital-ride hailing provider, recently choosing Toronto as its first international city for expansion, the TTC will also engage with them in understanding mobility trends." Lyft's chief rival, Uber, meanwhile said it welcomes the competition. "Uber is proud to have paved the way for (ride-hailing) in Canada," said Uber spokesperson Xavier Van Chau. "More options can help reduce congestion and pollution as consumers increasingly make the switch from driving their own car to using shared mobility services."